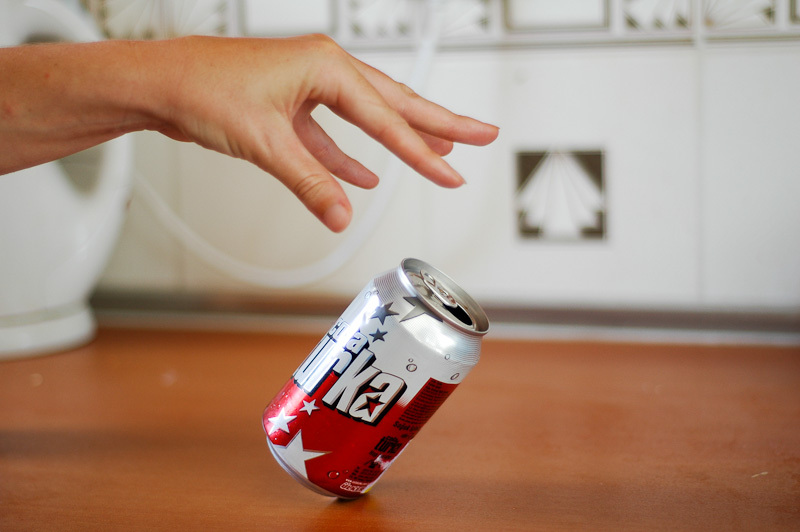 According to the wiki how website, if you pour out around half of the soda in the can, and then tilt it to about 45 degrees, it is possible to balance the can on the table. 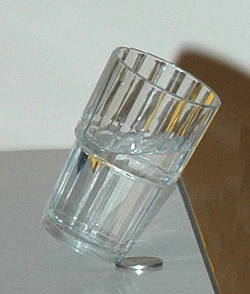 It seems really cool and magical, so I decided to pick up this old problem from the postcard and look into how we can balance a tilted glass or soda can. We know that the key of balancing things is to find the center of mass (or center of gravity) of the object. 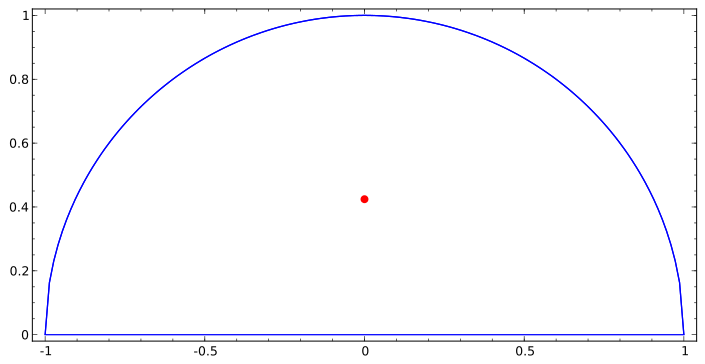 For a single rigid object with uniform density, the center of mass is located at the centroid. Therefore, in order to find the center of mass, we first need to learn to find the centroid. This equation reminds us of the joint probability density function that we learned just before spring break. In fact, since the centroid is defined as the “arithmetic mean of all points of shape X”, we are using a joint density function to define the position of the centroid. Therefore the coordinates of the centroid are . For a 3-D object, we can find the x, y and z coordinates of the centroid by using this method. So that concludes step one — finding the center of mass for an object with a uniform density. The next question would be: “How do you take density into account?” The glass of water obviously has two different substances with different density, and finding its centroid is going to be much harder. I’d like to look further into this problem in the future! 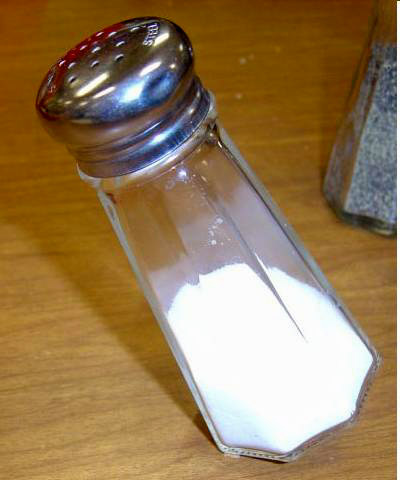 Just a couple more interesting pictures of magically balanced objects! Excellent Zfu71! Good synopsis and presentation of your solution! I can’t wait to see how you deal with objects of different densities! How cool… I hope you didn’t lose a lot of soda.. Maybe we need to figure out how you can distinguish between stable equilibrium points and unstable equilibrium points.